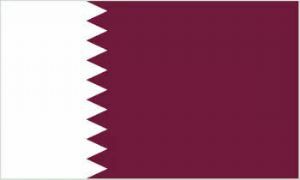 Qatar Large Country Flag - 5' x 3'. Qatar Desk / Table Flag with plastic stand and base. Qatar Embroidered Flag Patch, style 07. 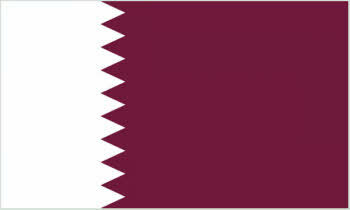 Qatar Embroidered Flag Patch, style 08. Qatar Embroidered Flag Patch, style 09.